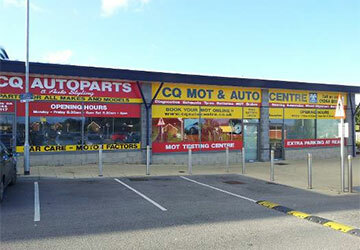 You can book you MOT online using our live booking system. All you have to do is select the service or MOT that your require, pick a date and an appointment time and then enter your details to confirm your booking. If your vehicle is 3 years or older you are required by law to have an annual safety check, a ministry of transport test, more commonly known as the Mot Test. The purpose of the test is to ensure your vehicle meets the minimum safety level required by law. It is your responsibility to ensure your vehicle is examined every 12 months. Without a current Mot certificate you will be unable to drive your vehicle lawfully on a public highway or renew your road fund licence. Recent computerisation of the Mot Testing system by VOSA means police and mobile camera units can now check remotely to see if your vehicle has a current Mot.